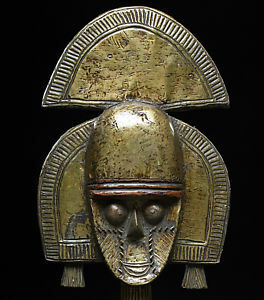 Comments: Rare, Elanda mask showing signs of multiple use. 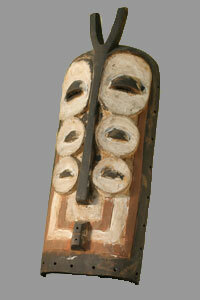 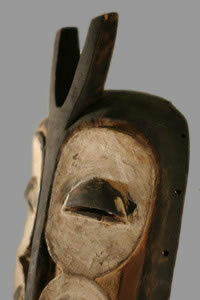 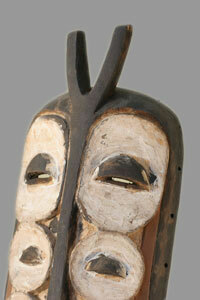 Mask with multiple eyes show the abstract representation of the face of a spirit in nature. 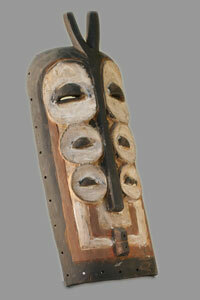 Mask in very good condition.